Enviro Safetech provides its clients with Site Safety Officers (SSO) on an hourly, part-time, full time or project-specific basis. Our SSO will routinely visit your site according to each of your sites' needs or regulatory requirements. Additionally, we can provide experienced and qualified staff for your Environmental Health and Safety Department (EHS) on a full time basis. By using an Enviro Safetech SSO you keep your headcount low, minimize overhead expenses, while you continue to enjoy the benefits of a fully engaged, staffed, and equipped EHS department. 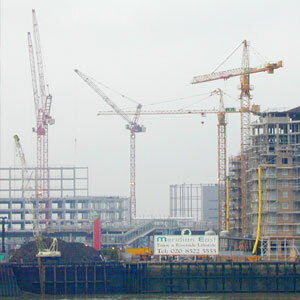 Temporary or ongoing construction projects: being performed at the client site. The SSO will supervise contractor operations to ensure that contractors work safely, and that client employees and property are being properly safeguarded. EHS Department staff turnover: by having our SSO meet with the exiting EHS staff to determine priority issues that need to be addressed until the new EHS staff member is hired by the client. Project overflow or agency required program implementation: can be achieved by temporarily dedicating a short term EHS staff member and moving forward with the new program and implementation on a fast track basis. Each client is assigned a primary SSO to ensure continuity and efficient project management. In addition to being competent and experienced safety professionals, Enviro Safetech SSOs have the added benefit of being able to tap the wealth of expertise available from other Enviro Safetech Staff, as well as being able to coordinate any additional consulting or contracting services (CIH, Ergonomist, etc.) that may be required.